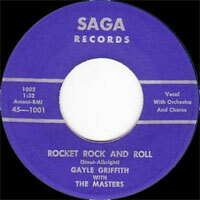 Chanteur Country US né le 22 Mars 1940, Gayle Griffith a enregistré chez Emerald et Saga Records. Il fut un chanteur régulier sur Indiana Hoedown (WFBM-TV, Indianapolis (Indiana) en 1956. 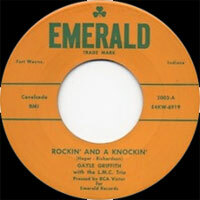 US Country singer born March 22, 1940, Gayle Griffith recorded at Emerald and Saga Records. A regular on Indiana Hoedown (WFBM-TV, Indianapolis, Ind.) in 1956.